Sweep 104", Length 50", Insleeve 6"
Washing Instructions Machine Wash Warm Tumble Dry Medium Only-Non Chlorine Bleach Wash Before Wearing. With the increase in the Bariatric Population our goal is to provide you with the best quality gowns for less. 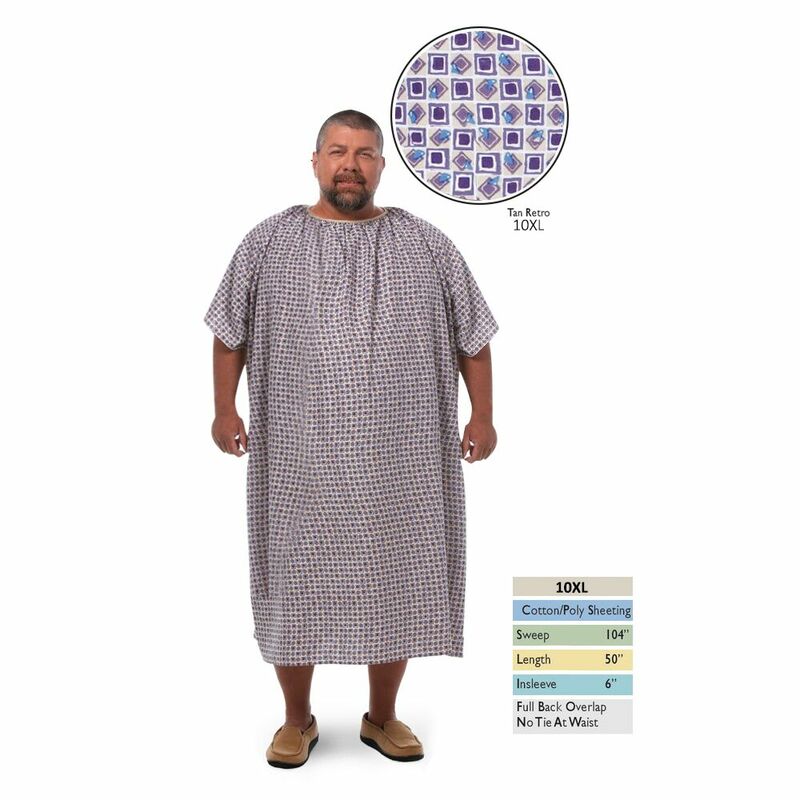 Our 10X Gown Meets the requirements for the extremely obese Bariatric Patient. 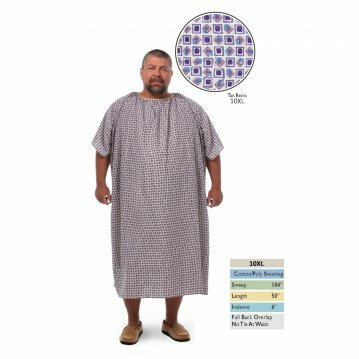 These Bariatric Gowns provide for modesty and comfort. Our Gowns are Moderately priced to help you buy the best gown for less. I ordered a couple of these for my mom who is in a nursing home. All I can say is wow. The quality is top notch, much better than the ones they supply. And the clearance price makes these a huge bargain. She loves them so much that I just ordered 6 more. The company was also quick to ship. Thank you.